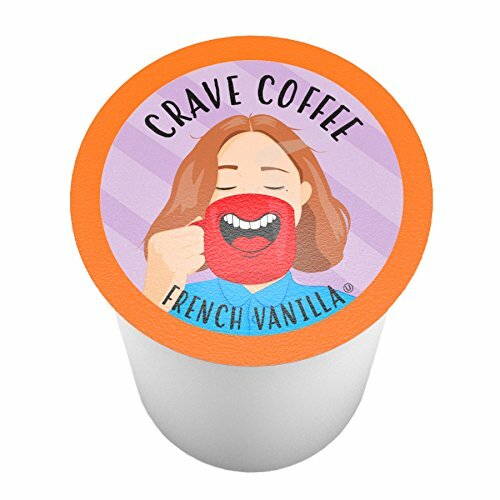 The subtle pure taste of French vanilla is perfectly balanced with savory roast to deliver an exceptional way add a little sweetness to your morning. What do you crave? Is is Butter Toffee? Vermont Maple? Blueberry Vanilla? We have it! Enjoy guilt free decadent flavored coffees- No sweeteners & No calories. 100% fresh roasted Arabica coffee is paired with your favorite flavors for the tantalizing coffee experience you Crave! If you have any questions about this product by Crave Coffee, contact us by completing and submitting the form below. If you are looking for a specif part number, please include it with your message.